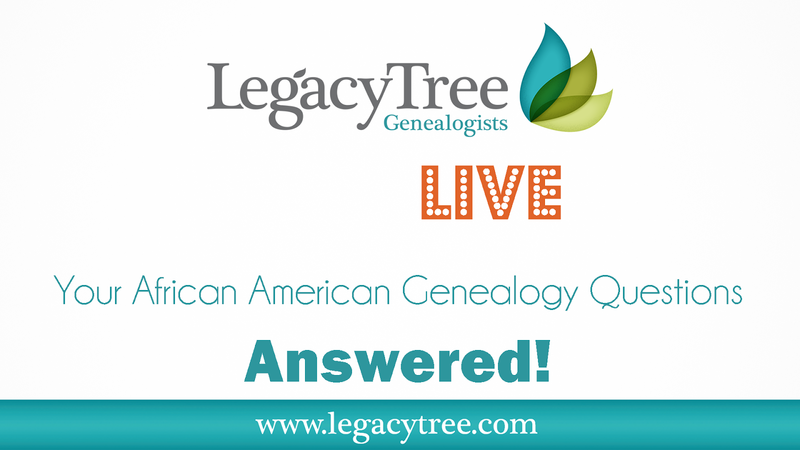 GeneaWebinars: FREE Legacy Tree Live Broadcast: Your African American Genealogy Questions, Answered! 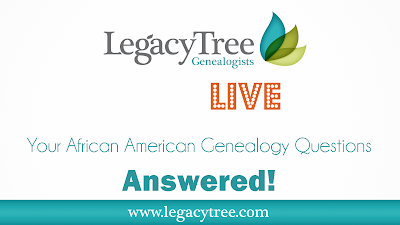 FREE Legacy Tree Live Broadcast: Your African American Genealogy Questions, Answered! February is Black History Month in the U.S. To celebrate, we’re hosting a special Legacy Tree Live broadcast, where one of our genealogists will be answering YOUR questions on African American genealogy research. Have a question regarding tracing your African American ancestors? You’re not alone! This research can be notoriously difficult! Submit YOUR question by February 9th at https://www.legacytree.com/live. Join us for the scheduled LIVE broadcast on the Legacy Tree Genealogists Facebook page for answers on Wednesday, February 21st at 9 a.m. MST. We’ll also share the broadcast on our YouTube channel. Subscribe here.